The Nova Rico Globe Circus is a bright globe, bringing pleasure for the whole family. 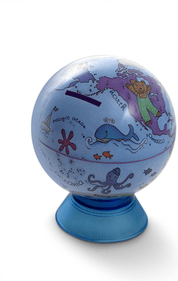 This globe is decorated with illustrations of mythical animals and characters from all over the world. 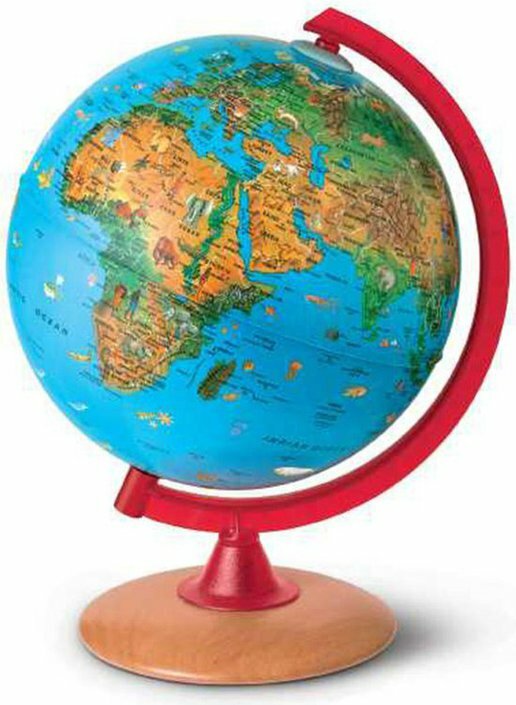 Its foot is made ​​of solid beech wood and its plastic meridian has a red, transparent colour, which suits this globe great. The Nova Rico Kids Map is specially designed for children. 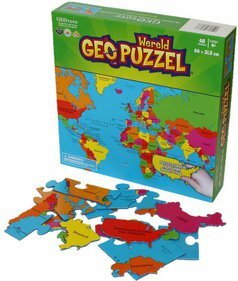 This map gives a current view of the world and has an educational function. If the light is off, this map shows the following details: all the major cities (including population demographics), time zones, land and sea names. Furthermore, the colours yellow and green indicate where areas like deserts and forests are located on Earth. 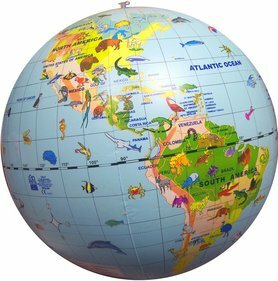 This globe is decorated with a lot of funny and colourful illustrations of animals, fish, and important places in the world. 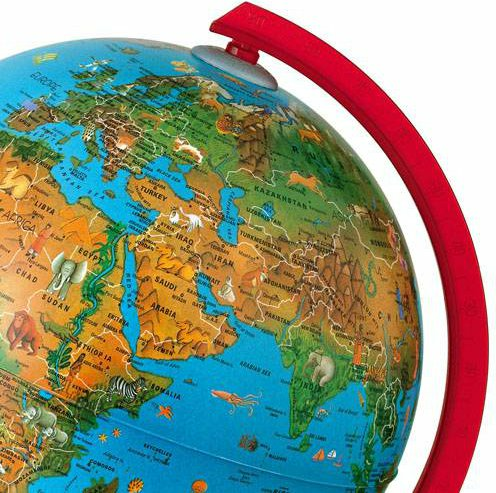 Nova Rico has been making globes in the Italian city of Florence since 1955. 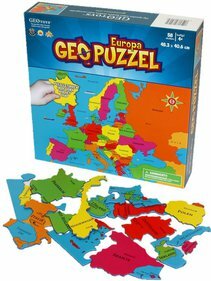 Since then, they brought a great variety of globes to the market, both for adults and children. Nova Rico globes will decorate your house but can also serve an educational purpose. 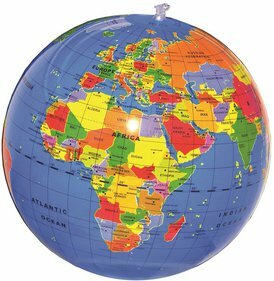 Nova Rico produces globes in more than thirty languages, inlcuding Japanese, Russian, Arabic, English, and Dutch. 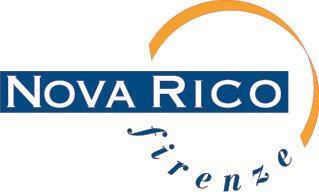 Nova Rico combines years of experience with innovation. The world around us is changing. Nova Rico is aware of this change and remains up to date with new models. Bought this for my 3 year old Granddaughter for Christmas and was really pleased with it. Loved the colours and the drawings of the different animals. Looks great when lit up. Great way to teach her about the world. Would definitely recommend it. It also arrived quickly and the adaptor plug was a great extra. The delivery was very fast and the globe completely met our expectations. 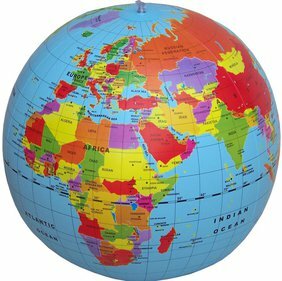 Wonderful, detailed globe. Only the price is a bit high. Wonderful when the light is on. Our daughter is very happy with this globe. Nice and clear map with cheerful colors. The images of the animals give that extra touch that makes it fun for kids! Haven't found any downsides yet. Nice first globe for curious children. A very nice first globe for children from 4 years old on that have questions about earth. The small pictures in different regions lead to fun and educative conversations. At night, when the light goes on, you can see the borders of the countries, that also have different colors for extra clarity. It was for our 4 year old daughter. It was a disappointment for her though that the Netherlands were only very small. What is unfortunate, is that the chord, of every lamp actually, is just too short to put the globe on the night stand. 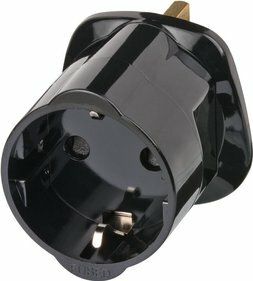 (This is of course because of the socket and the layout of the bedroom). I'm very happy with it and think the price-quality ratio is good. A very nice and decent product. It's always waiting for what you're going to get, when you order something online. But this exceeded my expectations. Happy child and happy parents. Stimulates researching and curious attitude in kids. With the light on, you can see the borders illuminate. Nice images on the regions.